What Should You Put in Your Album's Booklet? Who says the CD is dead? Sure, sales of the format have been dipping for a decade now, but believe it or not, people do still buy CDs, and they're a great way to make money as an artist or a band. Physical music isn’t necessarily a big seller, but there's something about holding a CD and taking it home from a concert. It still means something to a lot of people, and if you don’t even have it available as an option, you’re likely missing out on potential sales. So, as you’re getting your CDs made, think about what you want in the booklet. It can be a single sleeve or 15 pages long, though that might cost you a fair amount of money. Keep in mind as you’re writing that this is a document that fans might be poring over for years to come, so don’t ignore its importance. What should you include in your album’s booklet? I’m glad you asked. Here are a few suggestions. This has to be listed first, as you need to always remember to thank the people who helped you get where you are and create what has been made. Sure, you put in countless hours and probably quite a bit of money into this album, but did you really do it alone? Make sure you save some space for this section, as it should be fairly sizable. Don’t just shout out your family and best friends; think about all those people who really had a hand in any part of your success. Perhaps someone funded you on Kickstarter, or maybe a certain friend went out of their way to help you get to some of your gigs. It takes so little to mention all of these folks, but for many of them, it will be a big deal, and they’ll be much more willing to help you when the time comes again if they know they’re being acknowledged. 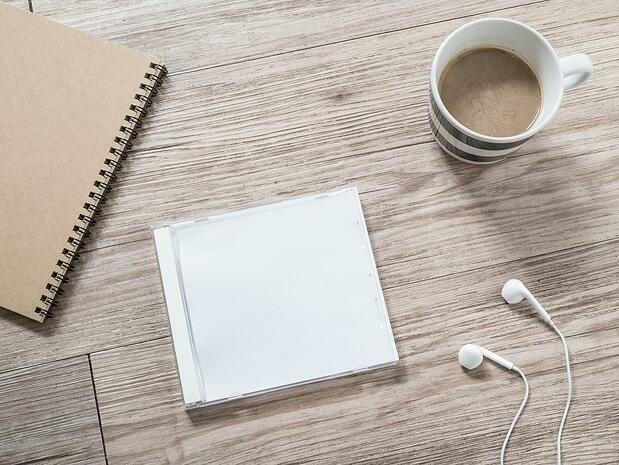 If you’re of a certain age (okay, you don’t have to be that old), you’ll remember flipping through CD booklets to learn all the words to your new favorite songs. Lyric websites have made this practice a little outdated, but that doesn’t mean it’s dead. There are still plenty of people who want to scroll through the pages of your album’s booklet, and lyrics are known to be the prominent feature here. You spend so much time perfecting your lyrics, so wouldn’t you want to make sure your fans can enjoy them as much as you do? Sure, they can’t actually click these and go straight to your Facebook, Twitter, or Instagram, but that doesn’t mean you shouldn’t include them! Consider this to be a tiny piece of real estate, but one that you really shouldn’t forget about (you’ll kick yourself if you do). If you have the same handle for all of your pages (which is always a good idea), just indicate that it’s for all socials. If not, you can legally use the logos of all of the major social channels, and there will be no confusion among your fans if you put a tiny photo of the Facebook logo and then your link. It’s pretty straightforward, but you’d be shocked how often I don’t see this in CD booklets. I wouldn’t think you’d need to hire a lawyer for this, but if you want to spend that money and make sure that everything is exactly how you need it to be, go ahead. If you don’t want to dole out that extra cash (which you might not have by the time your CD is completed), take a good, long look at the legal jargon written on the back or in the pages of some of the albums you own (assuming you actually own any). What does it say? Do many of them have the same descriptions? Does it sound like a copy-and-paste job that can be used as a catch-all, or do those sentences reference something specific, with each one being different? Most of the time in these situations, just by writing a few simple bits about copyrights, you’ll be safe... but it is worth including. Some people really get into the specifics of every song they love, so feel free to give them as much info as you can. Why not, right? Include somewhere in the booklet the names and addresses of studios where these tracks were recorded, and when. Or, tell the world that this is, in fact, a bedroom album. This might not sound important now, but it never hurts to print a few extra words, and you never know where your career will go. Think how crazy it would be now if the Beatles had ignored all of that throughout their early years. Again, this might seem obvious, but there are plenty of people who either leave out some very important info, or who skip this step entirely, which is honestly just wrong. Somewhere near the lyrics to every song, include info about who you wrote or produced it with, as well as those people that mixed, mastered, and engineered everything on the album. Most up-and-coming artists will only work with a handful of people on any given project, so yet again, this is likely only a few sentences. Make sure you also acknowledge these people for their efforts in your "thank you" section, and also include any other musicians who took part in your sessions. This is a great place for you to share something personal about the collection that somebody has just purchased. You shouldn’t give everything away – remember, you’re going to want to save a lot for press releases and potential interviews – but this is your album we’re talking about! Feel free to get intimate and real with your fans. They’ll certainly appreciate the candidness (as if your music wasn’t deep enough).